What would be the ideal three days to spend in Cape Town? The biggest problem with arriving at Tintswalo Atlantic is that you don’t want to leave. The drive down the winding road to the sea is so spectacular you feel like you are entering some kind of wonderful secluded paradise. Each of the suites are themed like famous islands around the world; and as you lay down on your bed, looking out over the crashing waves just metres away, you know this is going to be something memorable. The first day at Atlantic involves simply checking in and enjoying the rooms. It takes some time to appreciate the spectacular setting, and guests love to sit on their private deck and enjoy the room before doing anything else. 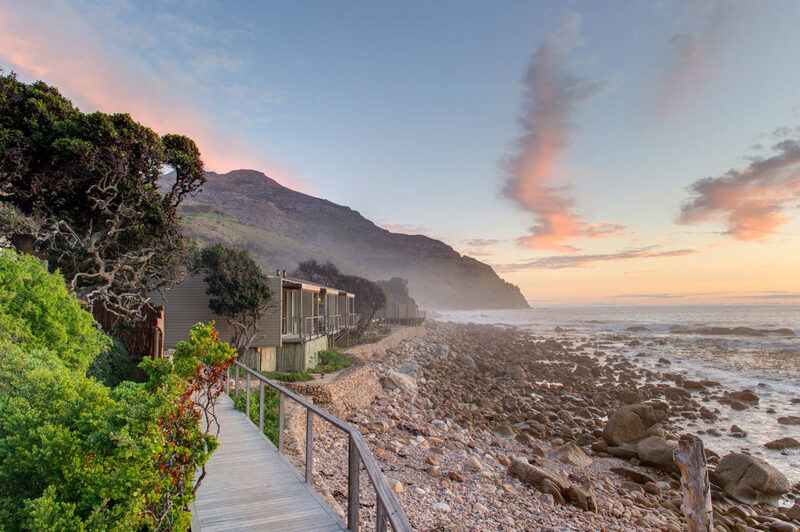 Take an easy stroll over to the main lodge, where you relax away the afternoon drinking G&T’s on the deck, watching the sun sink lower and lower towards the blue Atlantic. Follow the disappearing sun with an early dinner on the restaurant deck. The restaurant serves up an amazing mix of local, ocean and home-cooked food, and welcoming staff make meals such a pleasure as you enjoy the evening and retire early to listen to the waves. It’s a late wake-up on your first morning, as the oystercatchers and cormorants are your alarm, and the sounds of waves crashing coax you up. Wander over to the restaurant where fresh coffee, delicious breakfast, and crisp morning welcome you to day 2 of the experience. Take it easy for the morning, and when you feel like it, catch a short 20-minute shuttle into town to the famous V&A waterfront. 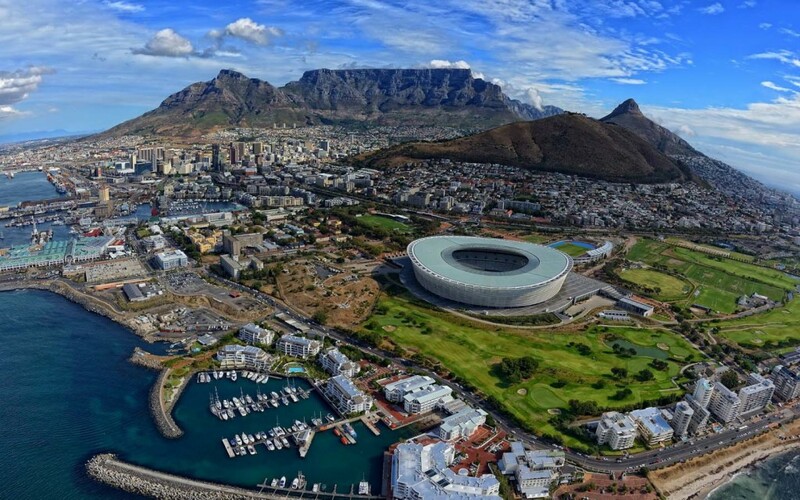 Table Mountain towers above as you stroll through this iconic waterfront on the southern tip of Africa: Seagulls squawking, African marimbas singing, people laughing. 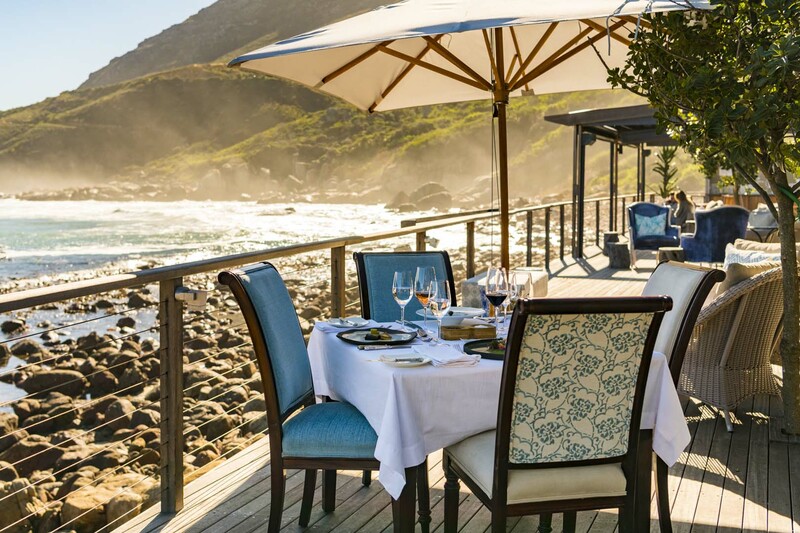 Choose from one of the many wonderful restaurants for lunch where you get to enjoy the scene and have a glass of wine. Some of Cape Town’s best shops are at the waterfront, with art shops, curios, and an entire craft centre available to browse through. If you have time, catch a quick cable car up Table Mountain, or just head back to Atlantic for a late afternoon tea and drink. Spend the afternoon lounging in the pool, keeping well hydrated, and then: it’s another spectacular sunset as dinner awaits. On your final morning it’s time for a spa treatment by the sea. 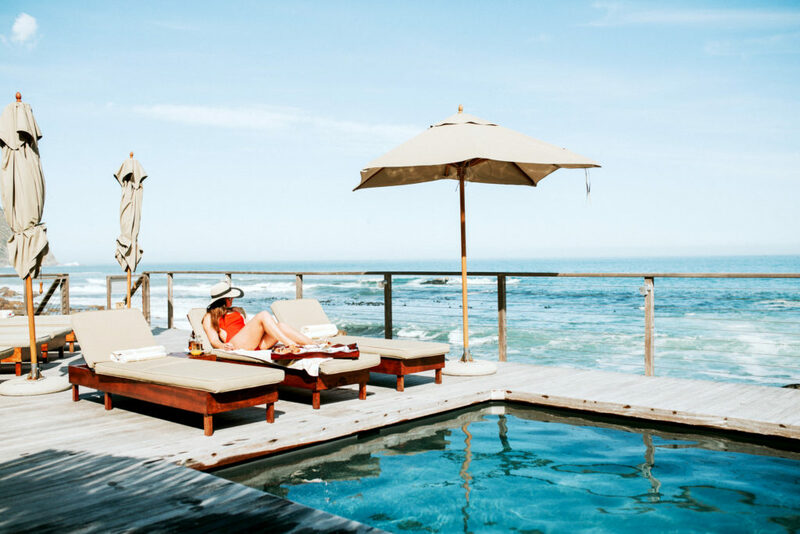 With a spa table set up on your deck, enjoy the relaxing sounds of the ocean as the massage sends you into a whole new level of lethargy and relaxation. A late breakfast, and spend the rest of the morning relaxing by the pool and enjoying your new state of mind. Alternatively, you can take a guided walk through along the mountain and see the remarkable plants and animals of Chapman’s peak. Sadly, it’s time to go. 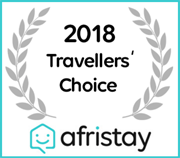 But you can rest easy knowing you have experienced the best of Cape Town in a few short days; the ocean, the city, the mountain, the food, the people and the spectacular setting of Tintswalo Atlantic—all combine to make this one of the most unique and romantic Mother City destinations.